Always being a fan of a bit of blush, I was super excited when I saw that Rimmel had brought out their own range of liquid cheek tints and have decided to review one! Personally, I can't think of a better idea than a blush you can rub and blend into your cheeks, rather than dust or powder on. Often when wearing powder blushes I find they can gradually come off during the day, whereas I find liquid blushes last longer and look a little more natural. I bought the Rimmel Stay Blushed! Liquid Cheek Tint in shade 004 Sunkissed Cherry. 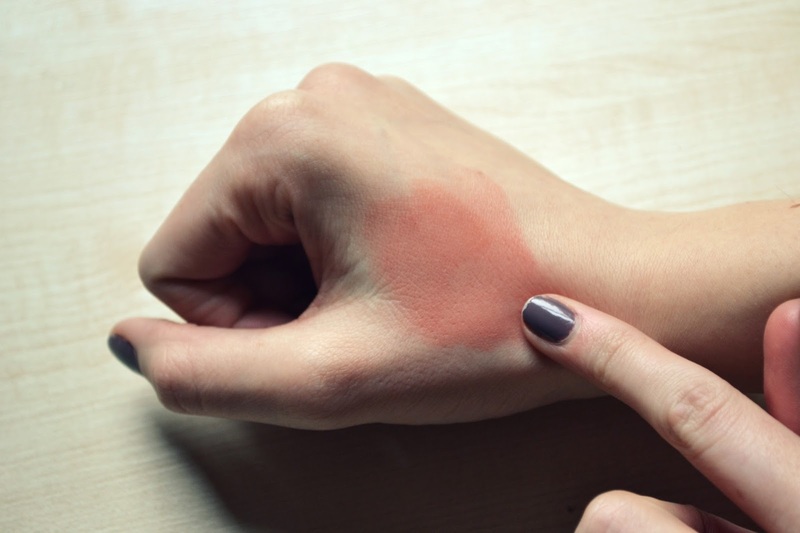 There was also the 'Pop of Pink' shade but after testing on my hand I thought it may be a little bit too bright for my complexion. I am aware that in the US you can pick up many more shades, however unfortunately Sunkissed Cherry and Pop of Pink are the only shades available in the UK. Still, I settled for the pretty Sunkissed Cherry - a scrumptious soft pink with rich peachy undertones. What the tube says: "Lightweight liquid blush blends instantly & seamlessly. 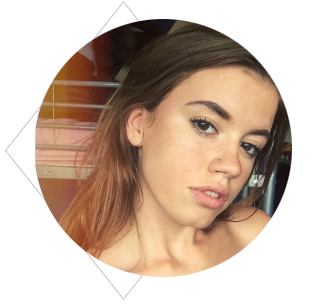 Apply a small amount with your fingertips for a natural flush of colour that lasts all day." When trying the liquid cheek tint for the first time I was a little surprised by the texture. Rather than the soft, creamy texture I was expecting it was thick and almost lumpy - however, when blended, the cheek tint does rub into a softer, lighter texture. The first thing I have to say about this cheek tint is less is definitely more. 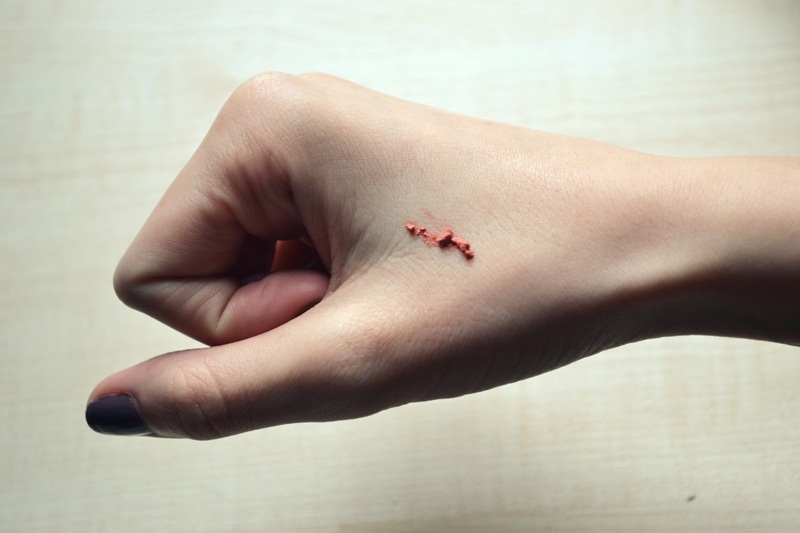 I put a pea-sized amount on the back of my hand and used my finger tips to blend out the tint into my cheeks, before realising that a pea-sized amount was actually way too much. Cue me looking like I'd just returned from a roasting hot holiday where I had been severely sunburnt. You only need the tiniest amount of this stuff to create a soft, natural blush on your cheeks. It did take me a few tries to get the right amount on my cheeks (sunburnt babe is apparently not a thing), but once you get used to how much works for you, the cheek tint is actually really good. As I haven't needed to use too much, the tube has lasted me ages - I've had it for around a month now and there's still plenty inside. The tint applies smoothly and easily to my cheeks, and I find it really easy to blend out with my fingers. The notion of rubbing my cheeks alone can make them rosy, so I often apply it and then wait two minutes to check that the shade is actually as dark as I'd like it on my skin. Using your own finger tips is definitely the best option with this tint - I practiced using a brush and it left a darker, more harsh result. As for the shade, Sunkissed Cherry is really lovely. It's light and and natural looking, but still gives a peachy rosy glow. The tint also has super good staying-power and lasts on my skin for a while. If I go out for the day, however, I do sometimes have to reapply half way through as it can fade a little, but setting it with a very light powder often prolongs the wear. 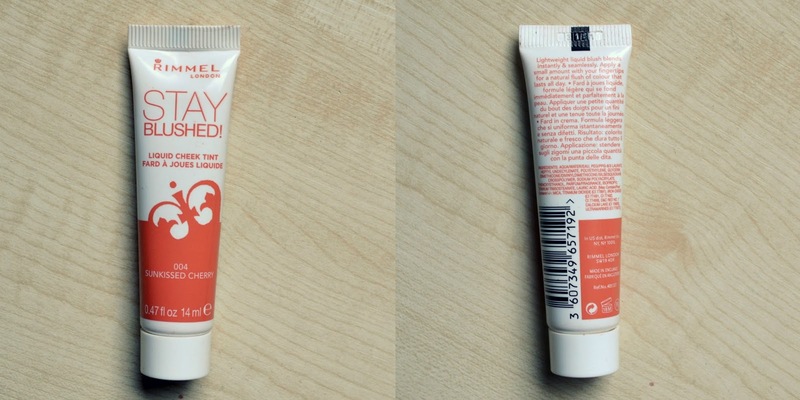 In conclusion I absolutely adore this little tube of rosy-cheekness and think it's a great alternative to powder blushes. It's light, easily blended, and leaves a much more natural finish on my skin than powder blushes do, and costs just £4.49. 10/10 Rimmel! Have you tried any liquid cheek tints? i have never used liquid blush before. lovely colour. I have always wondered how good these blushes actually are and from your review they sound pretty awesome. Think I'll have to pick them up at some point, especially at the bargain price they're going for. They are pretty awesome, you should definitely give them a go! Thanks, yes less is definitely more! Especially with this cheek tint, it's easy to look sunburnt with it haha. Amazing! This seems like a wonderful product and for such a great price! I've just reviewed a similar product on my blog, the Perricone MD No Blush Blush, and although the results are very similar, it is much more expensive! I may have to try this one out! This looks much nicer than I expected, its not as bright once blended. Think I may have to go have a nose at this! That looks so amazing. I get intimidated by liquid blushes because I feel like I'd make it look splotchy. I'm a big fan of powder blushes and tbh I've never heard about liquid blushes before. It sounds fantastic and I need to get myself one!! I'm not sure about liquid blushes, especially in those tubes. I'm sure I'd end up being too heavy handed and looking like Aunt Sally. i've never tried something like this but it sounds nice, thanks for sharing! Hmm, interesting! Will have to check it out! This is cool, I hope I can find a shade for my skintone. I am always so afraid of blush tint. This looks like a great product though. Thanks so much for stopping by!